According to the Insomnia National Sleep Foundation, Insomnia is the most common sleep disorder in the country that affects over 40 million people. People who experience insomnia may not feel completely rested once they wake up. Sleeping plays such an important role in our lives, as it directly correlates with our overall health and wellness. 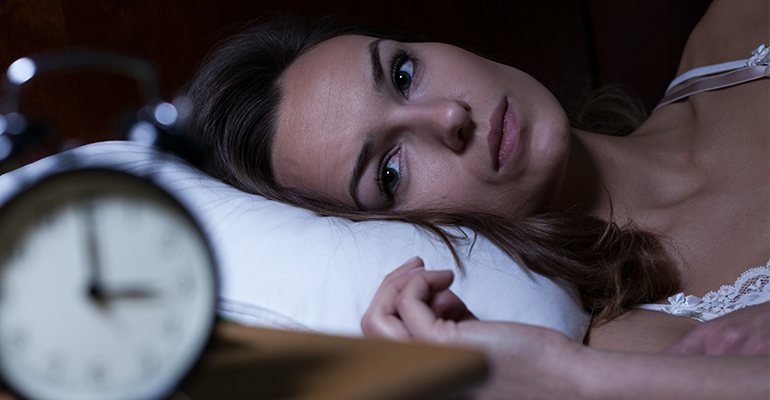 If you feel that your quality of sleep is impaired due to insomnia, Montana Psychiatry and Brain Health Center offers integrative treatments to help you get the proper sleep your body needs. Insomnia is a common sleep disorder among adults that creates a difficulty falling or staying asleep. Those with insomnia may find themselves waking up often throughout the night and having a hard time falling back asleep. Others may wake up much earlier than they need to and feel tired once they do. There are two types of insomnia: primary and secondary. Primary insomnia may not be related with having another health condition. Secondary insomnia, however, can be the result of a medication, pain, or illness such as depression, cancer or arthritis. If you find yourself experiencing difficulties with sleeping, contact us today and schedule a consultation appointment so we can help you improve your sleep. What are some causes of insomnia? What treatments do we offer for insomnia? Since every patient experiences insomnia for different reasons, we personalize each of our approaches to fit the specific needs of the patient. Our medical experts use innovative treatments that can help you sleep better at night and improve your quality of life. Getting a good night’s sleep is vital to our health. Proper sleep also plays a significant role in our quality of life and how well we function and perform throughout the day. If you or someone you know is experiencing symptoms of insomnia, our personalized care may be of help. Contact us today to schedule a consultation appointment and see if our cutting-edge insomnia treatments may be right for you.